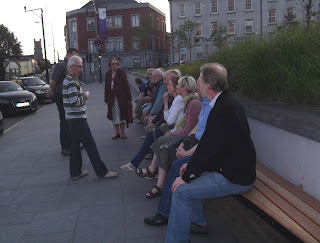 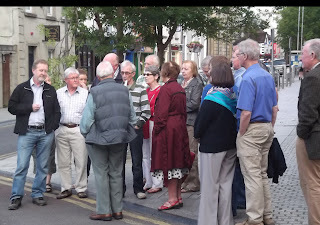 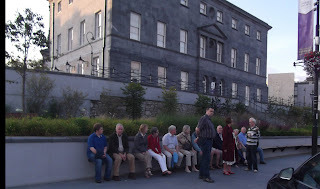 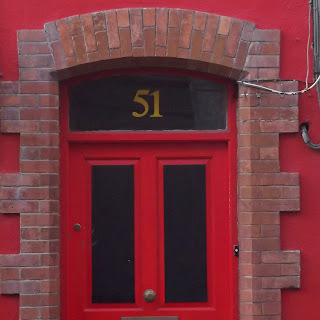 On 26 July 2012 we followed Dr J M Hearne through the streets of Waterford to the various locations associated with the Meagher family. 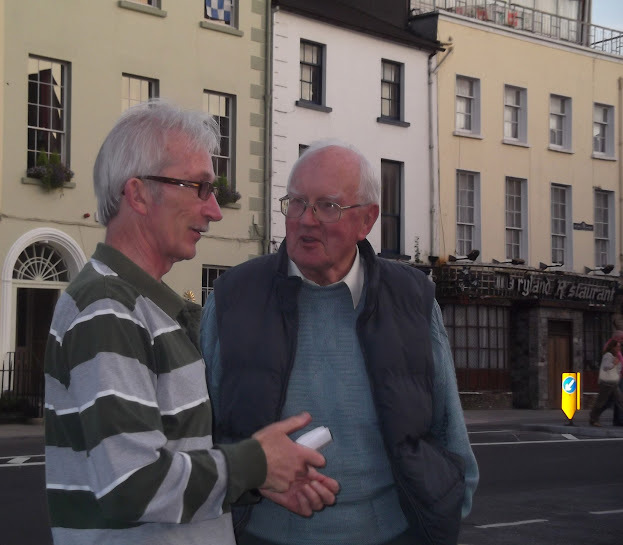 We met outside the Granville Hotel, birth place of T F Meagher. 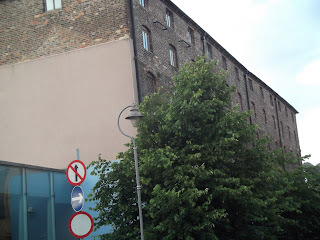 and where they had a business where the Granary stands today. 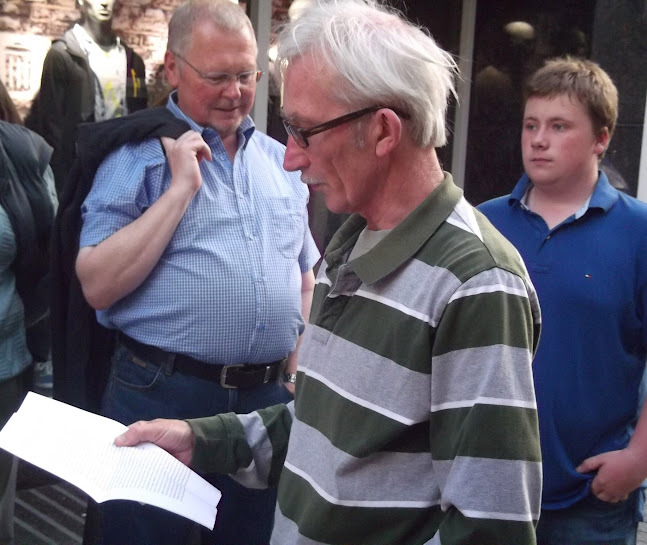 Dr J M Hearne reading quotes from T F Meagher. 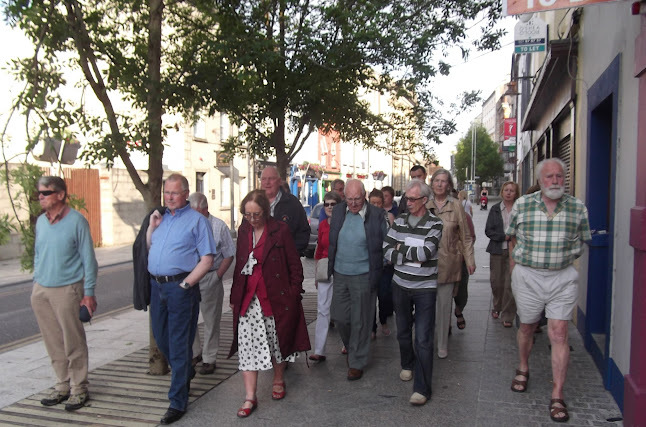 We then made our way to the Mall - The Meagher family had lived at number 19 (now the Sabai Restaurant), the Tricolour was first flown at number 33 (now Mint Café) and of course the monument to T F Meagher stands proud on the Mall.